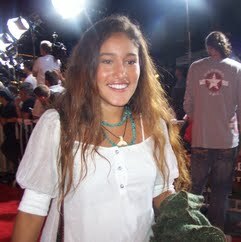 Q'orianka Waira Qoiana Kilcher is a German-born American actress, singer, and activist. She is best known for her role as Pocahontas in the 2005 film The New World, directed by Terrence Malick. Her second memorable film role is Ka?iulani in Princess Kaiulani.